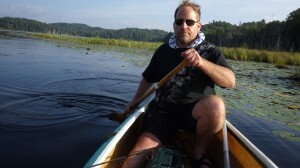 I apologize for not realizing that I need to post the entire articles of Benjamin Fulford on Thursdays after he posts the update on Monday, because you still have to log in to see the entire post on his site. Thanks to friends for pointing out that my post of last week’s didn’t let you read the whole thing. Here it is again in its entirety. “it is the operating arm of the Federal Reserve Board.” The pentagon sources explain that JPM handles food stamps or electronic benefit transfer cards which it could have stopped in order to create food riots. JPM was taken over in order to prevent this from happening. However, the military are now reporting that much of the JP Morgan money has “gone missing.” They are now investigating if Morgan Stanley and Barclays bank are responsible for stealing the money because, if they are, “they will be Lehmanized” i.e. bankrupted and dismantled. An MI5 source in the UK, for his part noted: “it is interesting to hear that because Morgan Stanley in the UK is behind the Iraq Chilcot (whitewash) inquiry” into UK involvement in the illegal invasion of Iraq. MI5 also notes that senior UK power brokers like John Scarlett (former MI6 head) and Jeremy Heywood (UK Chief Cabinet Secretary) are to this day working with mass murderers Benjamin Netanyahu and the Bush family in trying to maintain Khazarain mob control of the West. There is also a massive ongoing financial attack against other Khazarian mob controlled financial institutions. They are reeling under a combined attack involving US Treasuries dumping (by China), the collapse in oil prices, petrodollar derivatives losses, zero interest rates (on loans) and demand by exporters for payment in Chinese yuan. Rockefeller controlled Citigroup “is sending its stolen gold and stolen cash to Russia in an effort to prevent it from falling into Chinese hands,” according to Pentagon and Chinese sources. This coincides with statements by Rockefeller bag man Henry Kissinger that the US should be friendly to Russia. Russia is likely to simply claim the gold as tsarist treasure being returned. As mentioned in a bulletin issued in August, a clear sign of the intensity of the ongoing financial war was seen when the Chinese Tianhe-1 super computer was hit with a nuclear electromagnetic pulse weapon on August 12th immediately after China devalued the Yuan against the US dollar on August 11th. The Chinese devaluation was used as part of an attack on the derivatives positions of the big Khazarian banks. The Khazarians responded with a stolen nuclear weapon. Pentagon officials were quick to explain to the Chinese the attack against them originated with the Khazarian mob and not the US military industrial complex. The Chinese have made it clear they are expecting strong action by the US military industrial complex against the Khazarian mob if they want to avoid war. Such action has already begun, they were told. The US military, the Russians, the Iranians and their allies are now increasing their pressure on the Khazarian mob and their puppet state Israel. These three powers are now cooperating to attack the Israeli ISIS proxy army in the Middle East. Egypt is also about to join the Iranian, Russian, Pentagon alliance, according to Pentagon sources. A military campaign is now under way by these allies with the aim of cutting off of ISIS oil being supplied from Iraq via Israel and Turkey. Cutting off these oil export routes would deprive the Khazarians and their ISIS proxy army of their largest source of funds (other than narcotics). The Khazarians have already faced a major defeat in the United States in their attempt to stop the ongoing rapprochement between the US and Iran. The fact the Khazarian lobby, despite a massive campaign, could not get enough votes in Congress and the Senate to veto the Iran deal is clear proof the Khazarians are losing control of the US political system. Meanwhile closet Khazarian mobster King Salman of Saudi Arabia arrived in Washington D.C. on September 4th to demand the return of Saudi Gold kept in the US. He was told by the Americans that if he persisted in his demands his Kingdom would be broken up. In addition, he was told his country would face “severe consequences” if it stopped supplying oil to the US military industrial complex and started selling it to the Chinese instead. Salman was also forced to accept the Iran deal, the Pentagon sources said. The situation in Europe is also coming to a head. The massive refugee crisis that is in the news there is being engineered as part of the long term P2 plan to use a conflict between Islam and Christianity to force a unification of the monotheist faiths. The plan calls for an escalation of the refugee crisis and the arrival of large contingents of “armed ISIS fighters” to speed up the process, according to German “second Reich” sources. According to these sources, NATO forces reached a secret agreement to begin going ahead with their New World Order on September 25th. Some sort of accord will be then signed on December 25th, the sources said. The overall plan is to collapse the entire present system in order to be able to rebuild from scratch, they said. The arrival of Pope Francis, Vladimir Putin, Xi Jinping and other power brokers in the US at the end of September, supposedly to celebrate the 70th anniversary of the UN, may well be a sign some sort of world treaty is about to be signed. Another sign that something highly unusual is going on is the fact the US air defenses on the US East coast are going to be shut down during the last half of September even as Chinese and Russian naval forces are stationed near the US coast. The last time such a thing happened was on September 11th, 2001. Meanwhile in Japan, there are also signs that it is not business as usual. It appears that slave Prime Minister Shinzo Abe is working for new handlers. The clearest sign is that Japan’s government is not only ending any pretense of sanctions against Russia or Iran, it is also planning to stop using the US dollar in trade with Russia. Japan already trades with Iran and China without using the US dollar. In other Japan news, the Yamaguchi Gumi, Japan, and the worlds’, largest crime syndicate also split up recently. Sources inside the Yamaguchi Gumi and in rival gangs say the split up was a local issue not directly related to international events. Tsukasa Shinobu, the current head of the gang, comes from Nagoya (home of Toyota motors) and resentment against Nagoya control was building up in Kobe, the traditional base of the gang. Not only was the Nagoya faction taking over personnel decisions but it was also demanding excessive tribute, according to the gang sources. It is unlikely this split will lead to war because both factions have too much to lose in the event that happens, the sources said. The last time the gang split, when the Goto gumi left in 2008, there was no war. Tadamasa Goto, the head of the Goto gang, now lives in retirement in Cambodia. If a gang war is going to break out, gangs will evacuate their formal headquarters, disguise their appearance and start killing each other off. In a final note to readers, this writer would like to thank his readers for putting up with pre-written reports and allowing him to take his annual holiday in Canada. Canada is heading into a general election on October 19th and opinion polls now show the Zionist regime of Stephen Harper is headed for a decisive defeat. Canada should then be in a position to help liberate itself and its cousins to the South from Babylonian debt slavery. First Wave of Ascension ~ Are Earth Catastrophes Likely Now? Peace, and justice. To get both? With every step today let those who hunger and thirst for justice have peace till they are full. It is not about an eye for an eye, but that today and tomorrow are better then yesterday.